Utah has moved one step closer to its own gold standard after the Senate approved a bill Thursday that would require the state to recognize gold and silver coins as legal tender. The Utah Senate recently passed HB317 moving the state closer to a gold and silver standard. This bill allows Utah (and other state citizens in Utah) to exchange federally issued gold and silver coins instead of paper money in all transactions. One would, theoretically be able to take along a 400 ounce bar of gold and exchange it for a very nice house in Utah. 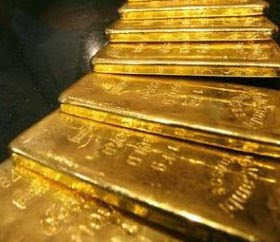 Due to the fluctuating price of gold and silver, at the time of a transaction one would likely need a calculation and access to the goldprice.org or silverprice.org site for the most up-to-date price. A state committee is looking now, at whether Utah should recognize an official alternate form of legal tender. The Utah Governor Gary Herbert, who, according to the Washington Time, has not taken an official stance on the bill will have the final say to veto or sign it into law. If the bill becomes law, the implications would be, to say the least, interesting. Would other states follow? Does this send a message of no confidence in their current financial regime? According to Jenkins of the Deseret News, "Gold and silver users would have to file federally required transaction reports." Legislative fiscal analysts have estimated the bill would reduce the state's income tax revenue, which funds public education, by $250,000 in 2012 and $550,000 per year beginning in 2013. But House sponsor Brad Galvez, R-West Haven, considers the state would see an increase in sales-tax revenue as the value of gold rises. Other interesting phenomena could occur. Employees could pay their employees in gold. Payments into their accounts would be not in USD but in XAU (the currency symbol for gold) or XAG (the currency symbol for silver). Banks could issue special debit cards so purchases could be made in gold and silver. If a business didn’t directly accept gold or silver as tender, credit card companies could apply an exchange rate for the gold or silver in the account, charge a fee to the purchaser and convert the purchase amount to USD at prevailing prices. 13 other states including Colorado, Georgia, Montana, Missouri, Indiana, Iowa, New Hampshire, Oklahoma, South Carolina, Tennessee, Vermont and Washington have proposed similar bills. "If one state recognizes gold as a valid currency, I think it would embolden people not just in other states but in Washington," said Jeffrey Bell, policy director for the Washington-based American Principles in Action, which helped shape the bill. The US used the gold standard from 1873 until 1933, when President Franklin D. Roosevelt outlawed the private ownership of gold amid the Great Depression. President Richard Nixon abandoned the gold standard altogether when he announced in 1971 that the US would no longer convert dollars to gold at a fixed value thus enabling the country to acquire massive debt through the printing and manipulation of paper currency back by nothing more than confidence.